In the past, I didn’t understand God’s work of saving mankind, thinking that if someone reveals corruption or commits transgressions in their duty that bring harm to the church’s work, that person will face the retribution they deserve, or that they will be stripped of their duty or be subjected to punishment. Because of this erroneous viewpoint, I was always afraid of slipping up in my work and being dismissed or sent back home, so I thought of a little “trick”: Whenever I did something wrong, I would try my best to not let the leaders know first, and scramble to make up for it myself and do my utmost to make it right. Wouldn’t that then help me hold on to my duty? So every time I gave reports on my work, I would downplay big issues and simply erase the small ones. During the times I was passive I would do my best to cover it up in front of the leaders and present myself as very active and positive, terrified that they would know I was in an abnormal state and think that I could not do the work, and then remove me from my position. That is how I became very carefully guarded, tiptoeing around the leaders and God in everything I did. However, God inspects people’s hearts and minds, and my “perfect trick” could never escape God’s eyes. In my experience, I discovered that the more I tried to cover things up, the more God would bring those things to light. For instance, whenever I tried to show off my “talents” in front of leaders, I would always mess up and make a fool of myself. Whenever I tried to cover up my passive state, “dark clouds” would always inadvertently surface on my face, which my brothers and sisters would see through. Whenever I tried to cover up errors or omissions in my work, the results of my work were like a mirror that revealed everything. Time after time of being embarrassed and tormented by my conscience because of my dishonesty made me fall down, yet I still did not understand from this the intentions and purpose behind why God works in this way, nor did I understand how God saves people. I merely waited passively for the arrival of God’s righteous judgment and the impending punishment of the church. However, reality did not progress as I had imagined. In my work, even though I was pruned and dealt with for not fulfilling my duty properly, I still received wholehearted guidance from brothers and sisters. They let me know what is doing work according to one’s own will, what is handling things according to the principles, what is perfunctory, what is loyally fulfilling one’s duty, and allowed me to understand that only by acting in accordance with the principles of the truth and with all their heart, with all their mind, and with all their strength can one fulfill their duty properly. In terms of entry into life, I got caught up many times in evil thoughts that I could not get rid of, leaving my heart in agony. I wanted to open up my heart, to seek and have fellowship, but I was too caught up in embarrassment to talk about it. That resulted in me falling into darkness and losing the work of the Holy Spirit. But after I risked everything and brought it all to light, I saw that brothers and sisters not only did not laugh at me or look down on me because of it, but instead they helped me and advised me, enabling me to live in the light and helping me find a path to practice and gain the power to overcome sin. Later on, I saw that when some brothers and sisters around me did something wrong or revealed corruption, the church did not just send them back home. Rather, the church did its utmost to have fellowship with them and support them, giving them chance after chance. Even if some people were sent home in the end, it was only because they lacked good humanity; they were disrupting and interfering with the work of the church, failing to play a positive role. They were always muddling through in their duty, did not achieve any practical outcomes, and refused to repent even after being pruned, dealt with, and fellowshiped with many times. But even for such people, if after a period of time, they really are able to reflect, to know themselves, and change, the church will still give them opportunities to perform a duty and prepare good deeds. 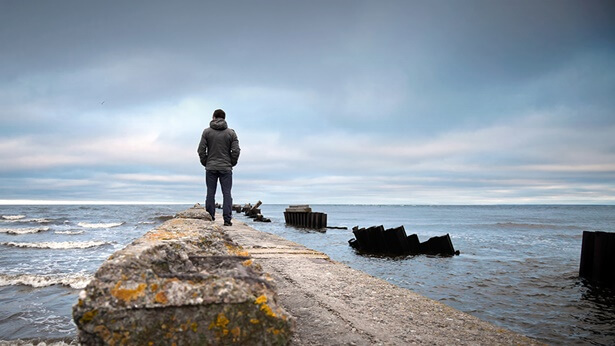 These facts made me see that God’s attitude toward us is just as parents treat their prodigal son who has returned—with unparalleled love and affection. They also made me see that the work God performs is to purify, change, and perfect people. It was only then that I realized that whether God treats people with mercy and love, or if He treats people with righteousness, majesty, and wrath, all of this is to save mankind to the greatest degree possible. Within all of this is God’s limitless love and salvation for mankind and it is all determined by His essence. Pondering the will of God, I thought of those who were exposed, replaced, or sent back home; it was only within that kind of environment of being exposed and eliminated that they started to reflect on themselves, clearly see the truth of their corruption by Satan, prostrate themselves before God and truly repent. Without that kind of failure, they would probably continue to blindly wander down that path. It’s clear that the work God does truly is that of saving mankind and it does contain His love and kind intentions for man. In the past, I didn’t really understand His work of salvation; my understanding of God was so one-sided. At that moment, I thought of a passage of God’s words: “What is the substance of Christ? The substance of Christ is love for mankind; with regard to those who follow Him, it is unlimited love. If He has no love or mercy, then people would not be able to follow Him to the present time. Some people say: ‘Then is God not still righteous?’ It is correct that He is still righteous, but from the perspective of His disposition, His righteousness is hatred toward the corruption and wickedness of mankind. What if He merely had righteousness without love? What if love could not overcome righteousness? Then it could be said that mankind is done for. Therefore, I am speaking frankly with you: In the work God does for mankind during the time of His incarnation, His most apparent and prominent substance is love; it is unlimited tolerance. It is not as you imagine that ‘If God intends to strike someone down, He will do so, and if He hates someone, He will punish, curse, judge, and chastise him; that will be very severe! 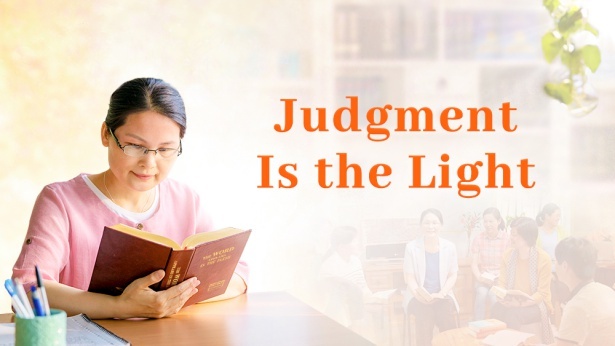 If He is angry at people, people will tremble in fear and will not be able to stand in His sight.’ This is only one method for expressing God’s disposition, and in the end, His purpose is still salvation. His love runs through all revelations of His disposition. Reflect on this, during the work at the time of the incarnation, the thing that God reveals the most for people is love. What is patience? Patience is having pity because there is love within, and its purpose is still to save people. God is able to have pity on people because He has love. Just like if there is true love between a husband and wife, they don’t look at each other’s shortcomings and faults. If they were provoked to anger, they would still be able to be patient. Everything is established on the foundation of love. If they were hateful, then their attitude would not be the way it is, their expression would not be the way it is. If God only had hate and anger, and there were only judgment and chastisement, and there was no love in it, then the situation would not be what you see now and calamity would befall you. Would He provide you with truth?” (“God’s True Love for Mankind” in Records of Christ’s Talks). When I had read this passage in the past, even though I acknowledged God’s love for mankind with my words, I never really comprehended it and always harbored distrust and guardedness toward God. It is only now that I have a bit of actual understanding of these words and can appreciate how true they are. Reading between the lines, I feel this is filled with God’s deep affection for mankind, with His earnest sustenance, support, and instruction for us, and they are particularly full of His most genuine, truest love for us.